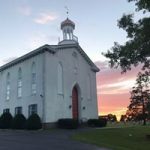 Our Zion congregation has embarked on a multi-year capital campaign to make improvements to our beloved church. 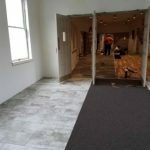 We appreciate all the contributions and support so far as several projects have already been completed or are currently underway including replacing our steeple with our original cupola which has been fully refurbished, and replacing our floors in the Fellowship Hall and adjacent hallways of the church. Please view pictures of our progress on the additional tabs. Click to see Cupola picture gallery. Click to see new Flooring picture gallery.